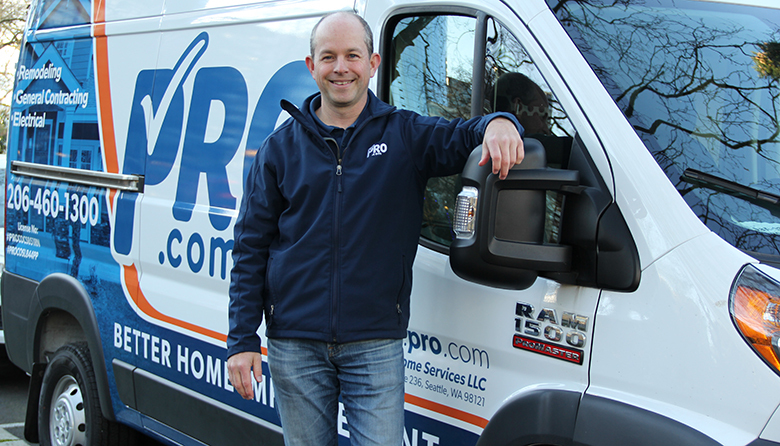 Fast-growing home Seattle improvement company Pro.com has closed a $33 million series B funding round, which it says it will use to hire employees and expand into new markets. The privately held company – which doesn’t release revenue but said its job bookings increased 275 percent last year – said it will use the financing to open in Portland and other cities. Pro.com is already licensed in the Seattle area, San Francisco, Vancouver, Denver, Phoenix and San Jose. The company, which has more than 125 employees, connects homeowners with vetted contractors for jobs ranging from kitchen and bath remodels to new home construction. Pro.com had earlier raised $27.5 million in three previous funding rounds. The latest round was led by WestRiver Group – a Kirkland venture capital company that has invested in more than two-dozen startups since its founding in 2002, according to Seattle-based analytics firm PitchBook – and Redfin, a Seattle-based real estate search and brokerage services firm. Pro.com also added three board members: WestRiver Group founder and CEO Erik Anderson, Redfin CEO Glenn Kelman and Charlotte Guyman, a former Microsoft executive. Pro.com was founded in 2013 by former Amazon executives Matt Williams, who serves as CEO, and Raji Subramanian, who is the company’s COO and vice-president of engineering.